John Lewis has appointed Pagefield as its first dedicated corporate comms agency following a three-way competitive pitch. It represents a new approach to corporate comms for the retailer, which has previously enlisted agencies for some corporate PR in a more limited capacity but has been looking for more support in this area. Pagefield will work on corporate media relations alongside John Lewis’ comms team. John Lewis director of comms Peter Cross said: "John Lewis is a business with a unique structure and story to tell. We believe that the Pagefield team are the right people help us share that story in a dynamic retail world." Sara Price, founding partner at Pagefield, said: "John Lewis is an iconic national institution with a fantastic track record of success and innovation; being appointed to work for it is a landmark achievement for Pagefield. 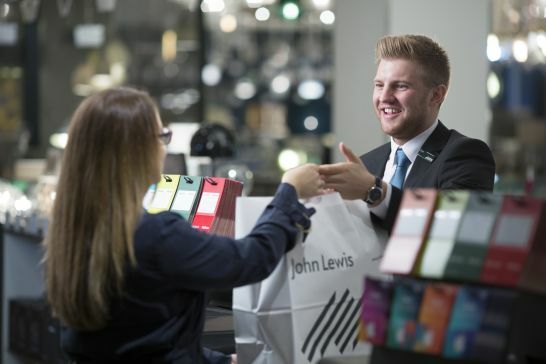 We are looking forward to helping John Lewis continue to stand out as one of Britain’s most admired businesses." The pitch process for the corporate comms brief began earlier this year. John Lewis also works with PR agencies Brands2Life and PR First for consumer comms, along with Stripe Communications on a regional basis. In a flagship interview for PRWeek last month, Cross discussed his approach to comms at John Lewis and the challenges ahead. Recent account wins for Pagefield include the Business Growth Fund and LGBT charity Stonewall.